Data is a commodity that private enterprise and governments seek to harvest and analyze. It is the fuel that powers our maps and applications, and its breadth and depth directly impact the value of those maps and applications. Would anyone use a navigation application that only included interstate highways? Probably not. How helpful would a package tracking service be if it only contained business addresses? Not very. Sometimes, however, this is how data is compiled and stored: One organization has access to business locations but not residential addresses, or a transportation agency only has data on highways but no concrete information about city roads. Parcel data supports and drives a variety of business needs and is of immense value to local, state, and federal governments. 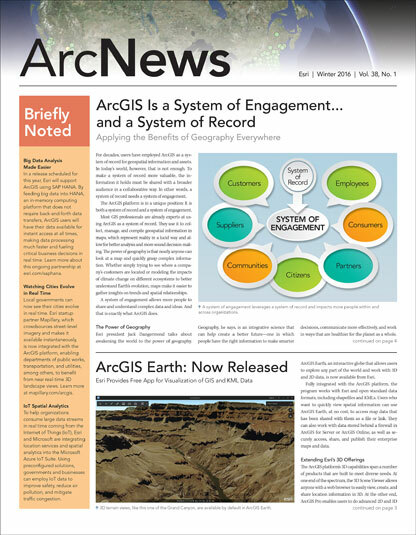 It is the foundation of good GIS repositories and systems. Yet in the United States, a readily available national parcel and assessment dataset has been, at best, elusive. Parcel data is typically created and maintained at the local level, with states and national-level organizations aggregating existing data. But building and maintaining extensive, rich, and useful datasets requires more than collecting new information or compiling existing data. It is a nuanced and challenging task to unify disparate datasets, make them consistent and contiguous, and have them correspond to business and governmental needs. Local governments are the best and most authoritative source for parcel and assessment data. To make this more widely available, however, local data producers need tools that enrich data attributes and normalize local content. With some relatively recent technological and institutional advancements, however, it is becoming easier to create and maintain publicly available parcel datasets. Local governments are the best and most authoritative source for parcel and assessment data. Their datasets are rich in content and highly accurate. Vast amounts of property data are collected, maintained, and managed at the local level, primarily to support real property tax and land development (for code enforcement, zoning, and permitting, for example). With high-quality information on parcel boundaries, building footprints, property attributes, and electronic deeds and mortgages, local governments can levy taxes to support schools and municipal and county governments. Many states have embarked on parcel aggregation projects, which essentially fuse together local data to create regional and state composites. But aggregating local datasets into regional or statewide datasets is not the same as collecting and compiling them. Most local datasets do not include information such as state and county names. Local data in states that use the Public Land Survey System of subdividing land seldom has information on the principal meridian (the main north-south line that surveyors use), let alone other information that remains constant across data, such as ZIP codes. And one local dataset rarely matches up with its neighbors’ datasets, meaning that states can’t just compile a bundle of local datasets and come up with a complete picture. In part, that is because there are no common data standards for attributes such as land-use codes, building conditions, and building grades. What’s more, while states do need high-quality parcel and assessment data, they generally do not need the extensive detail or high levels of accuracy that local organizations do. It is typical, for instance, to have a local assessment dataset (that is linked to parcels) with as many as 150 attributes ranging from owner names and the parcels’ values to types of flooring and wall coverings. This information is critical for valuation but is not generally beneficial at the state level, which deals more with oversight. Another issue is that states are unable to harvest the same number of attributes from each local government jurisdiction. A rural county in upstate New York, for example, has less detailed data than New York City. This results in an uneven dataset with gaps and varying attribute densities. Thus, many states try to focus on gathering a core group of attributes geared toward their business needs or what they can realistically collect, such as address, value, and types of improvements. It is also very common for two properties in the same state to have the same parcel identification number. To amend this in a more encompassing dataset, states have to perform data enrichment—and that can take many forms. Massachusetts, for example, keeps local parcel identification numbers but also assigns a state-managed geospatial identification number (based on latitude and longitude) to each parcel. New Hampshire, however, adds a county and town prefix to local parcel identification numbers to distinguish different jurisdictions. Both methods solve the same problem, just in distinctly different ways. One of the solutions to improve data quality for aggregation is to provide local data producers with tools that enrich data attributes and normalize local content. 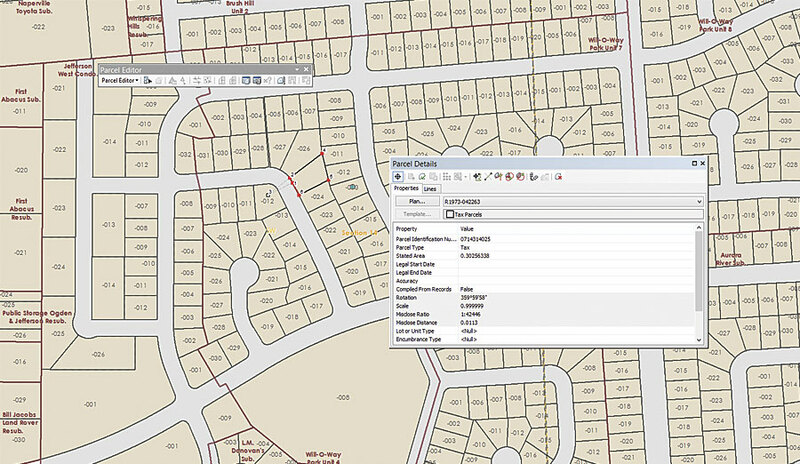 The Esri Parcel Editing toolbar has standardized tools and workflows that help people who maintain cadastral data generate more consistent content with higher levels of accuracy. This is especially true for maintaining vertical integration among related data, such as parcels, zoning, and administrative boundaries. Additionally, the Esri Community Parcels configuration enables local data producers to normalize a copy of their data by employing widely used standards. With state governments now creating rich composites of local parcel data to power their own decision making and analytics, the idea of a publicly available national parcel dataset is becoming more feasible. This could serve the needs of many federal agencies whose work mirrors that of state governments, such as the US Department of Housing and Urban Development, the US Department of Homeland Security, and the Consumer Finance Protection Bureau. But this has set in motion a great debate within the geospatial community: Who will make national parcel data publicly available? To date, private industry is the largest compiler of parcel data. These datasets are being sold to anyone who wants them, including state and federal governments. But there are questions about the quality and accuracy of the information they contain. Therefore, it will be up to states and their local partners to begin aggregating and, most importantly, sharing the valuable datasets that they compile themselves. For example, data that can currently be seen online but not downloaded will need to be made accessible. This is essential to getting a comprehensive, publicly available national parcel dataset. The lessons learned in state parcel aggregation will be compounded as state datasets are put to use at the national level. Issues of accuracy, attribute difference, contemporaneity, and quality will become more apparent when comparing data across state lines. But the technology is there. So it’s really only a question of when, institutionally, it will become a reality. Nancy von Meyer is president of Fairview Industries, an information technology services firm. David Salzer and Patrick Santoso are principals at Axiomatic, a company that specializes in business process reengineering.